The Shell armchair Mini with backrest in the shell shape by Sitting Bull is available in several child-friendly colours. 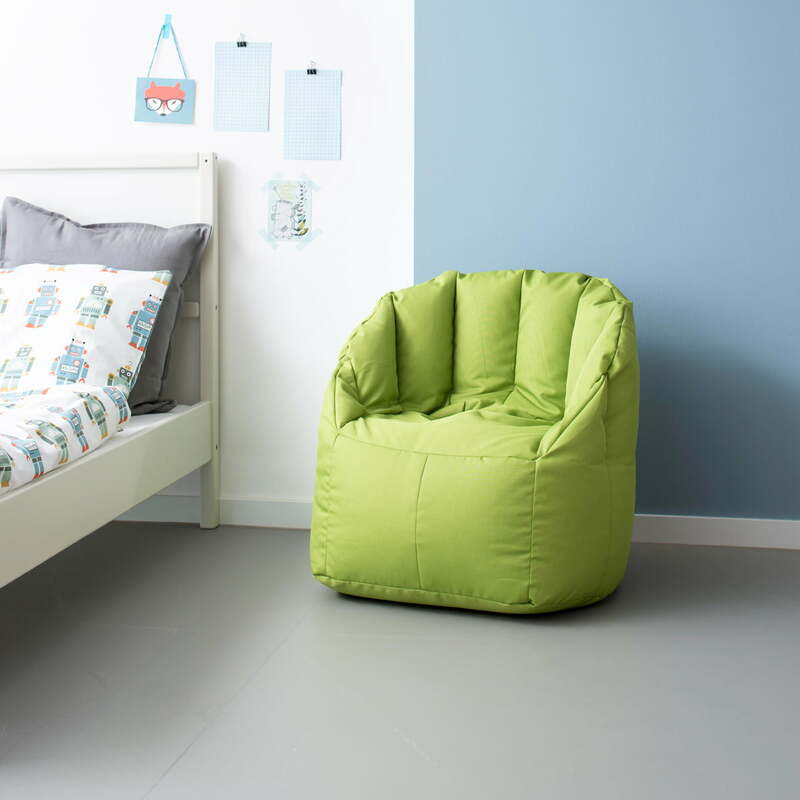 The children’s beanbag is not only a happy blur of colour, but particularly easy-care thanks to its robust poly-tex fabric - ideal for children's rooms. The Shell armchair is light and flexible, for it is filled with especially light EPS-beads, so that it can be moved easily even by children. 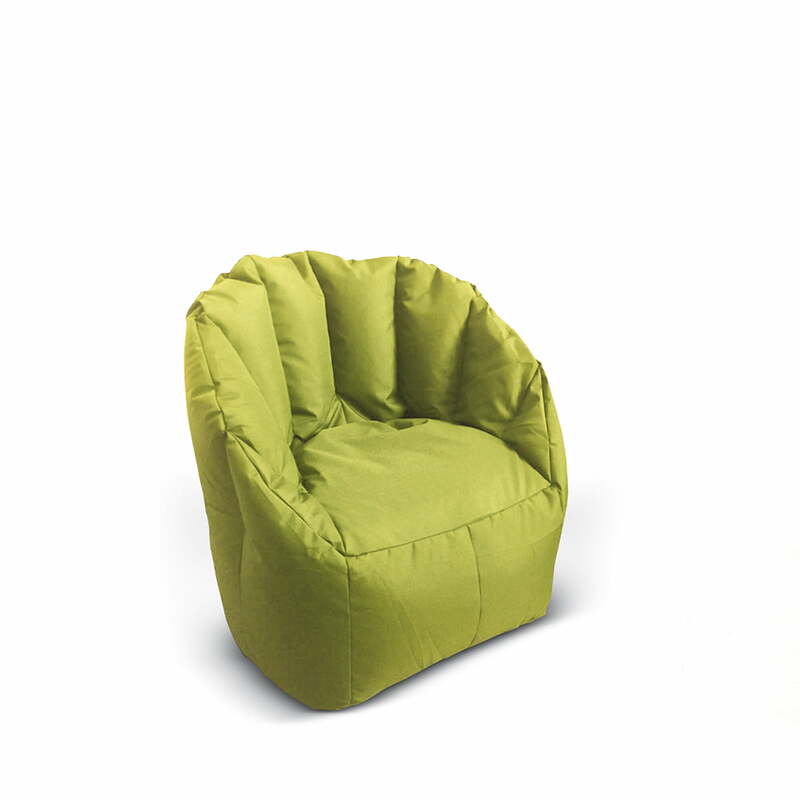 The shell-shaped backrest of the chair stabilizes itself and promises special seating comfort, so that children can read, listen to music or watch TV in the comfortable chair. Single image of the Shell Mini by Sitting Bull in green. The Shell Armchair is light and flexible, thanks to the special EPS-beads filling, so that the chair can be moved easily even by children. The Shell armchair Mini with backrest in the shell shape by Sitting Bull is available in several child-friendly colours. 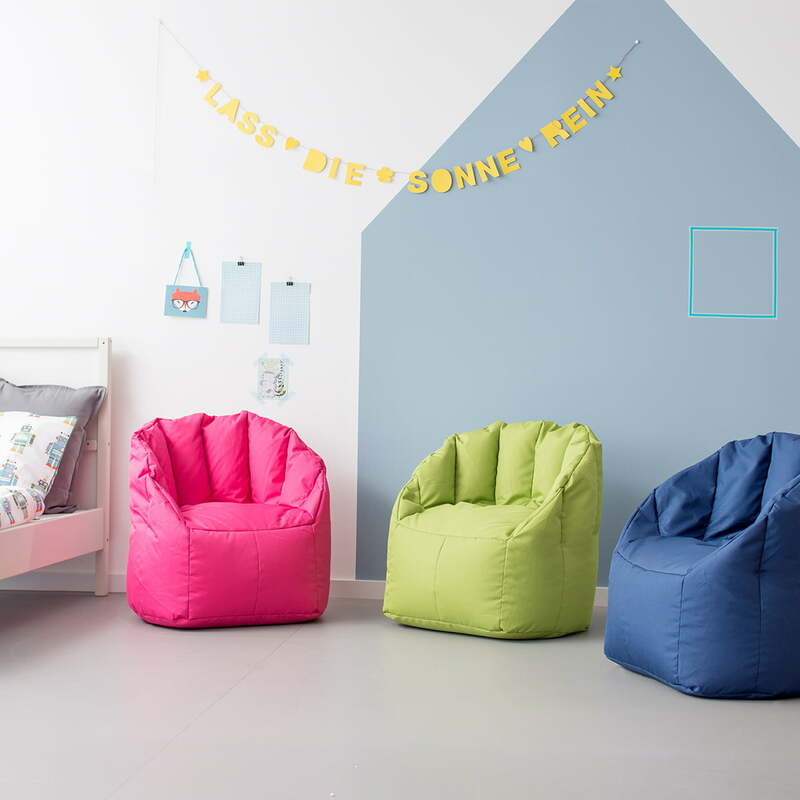 The children’s beanbag is not only a happy blur of colour, but particularly easy-care thanks to its robust poly-tex fabric - ideal for the kids’ room. The shell-shaped backrest of the chair stabilizes itself and promises special seating comfort, so that children can read, listen to music or watch TV in the comfortable chair.